I fly a lot of ships. In fact, when I started looking for a new corporation a while back, it was usually easier to tell people what I don’t fly, rather than what I do fly. When I was a new pilot, I was pure Caldari. I loved missiles, and didn’t completely understand the more complicated range issues with other weaponry. I liked that fact that I could load missiles in my Caldari boats, and unless the target was extremely out of range, I could usually hit him. Then, I started running out of ‘Caldari’ things to train. I started cross-training hybrids, so that I could fly some cross over Caldari ships, such as the Rokh. Once I could use tech 2 large hybrids, it was an easy decision to cross train Gallente, and it didn’t take too long—I mostly had to train ship skills to successfully cross train, as well as a few armor tanking skills. 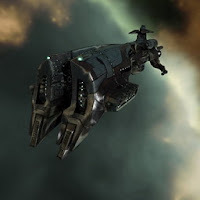 My last race to cross train to was Minmatar, and now I find that I fly Minmatar ships more than any others. However, I still occasional fall back on some old standbys, as well as play around with some ‘specialty’ ships. 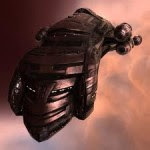 The Hurricane: I am a big battlecruiser flyer and this is the ship I always keep coming back to. I love its versatility—you can go nano shields, or armor. You can make setups for solo pvp, or ones that are appropriate for gangs. You can fit to go after smaller ships, or larger. There is a very good balance between tank and dps—and I usually get good results when meeting my enemy head-on. 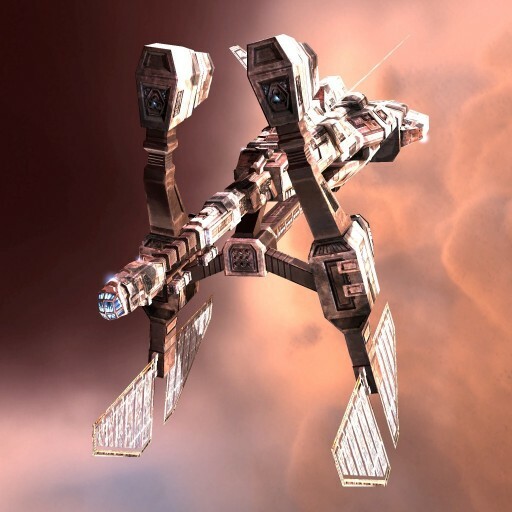 The Drake: Being Caldari, I would be remiss if I didn’t mention the drake. A shield boat, it’s great for baiting, or flying around solo. I prefer a gank fit HAM drake because I like the dps and fighting close range. When I lived in 0.0, we used long range drakes in big fights to take care of range ships that others wouldn’t normally be able to reach, such as Falcons. The Rupture: They are so cheap! Tech 1 cruisers can be fun anyway, but the rupture packs a lot of punch, and is quite hearty. I love zooming around in it, or camping the enemy’s high-sec entrance gate. I also love the fact that the last time I lost one, the enemy dropped a bc, assault frig, and a battleship to ‘help’ kill me. Fail. The Moa: Before I could fly ruptures, I flew moas! And sometimes I still do. They’re pretty decent little cruisers with good dps, and a decent tank, if fit correctly. 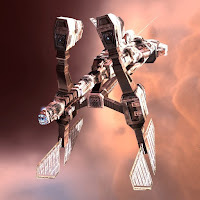 They are a great addition to a tech 1 cruiser fleet, though I probably wouldn’t run around solo in one. The Rapier: I haven’t flown these much since I returned to low-sec, but am planning to grab another one soon. They are small, cloaky, and killers with their insane stasis webifier bonuses. They are excellent in 0.0 for providing extra ‘catching’ power in bubble camps, and great in low-sec for preventing targets from returning to the gate when they get caught jumping into your welcoming committee. The Griffin: I know, you’re scratching your head right now. This ship has really grown on me the last few days. Read a few posts from last week to find out why. 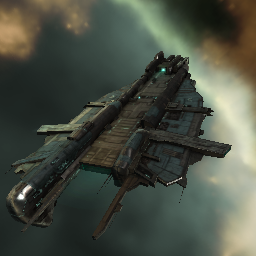 Not only is this ship dirt cheap, (I flew one around that took me less than 3 million ISK to fit) but it can cause enemies some serious frustration. I jammed a falcon once in mine, which caused the difference in a fight, so I would be remiss if I didn’t mention it. They are frigates, so usually you can just burn away if you get caught. The Megathron: Okay, so people say this ship isn’t as great as it used to be. It’s still an old standby for me in a bs fight. Good tank, good dps. Good ‘brawl’ ship. Enough said. The Rokh: Okay, so I don’t fly this anymore. 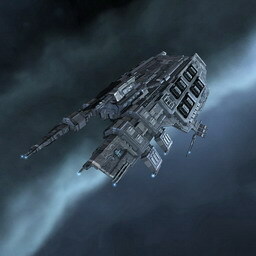 I mostly flew it back when my CEO in Locus would give me capital shield reps. I would throw three invulnerability fields and three large shield extenders on it, and I’d be able to tank a small army with his reps. Was great for ‘baiting’ a capital engagement, or playing station games. The dps wasn’t too bad either. I’m pretty sure I have one collecting dust somewhere. The Claw: I’m trying to get familiar with more frigate sized ships. I like small ships, but rarely fly frigates. I’ve heard the claw is great for solo pvp, and I definitely need some tackling experience. 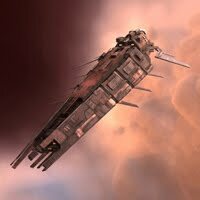 The Vigilant: Just because I want people to sigh and tremble, and scream for people to get a gang together to kill me when I undock. The Cynabal: They look so much fun, but I haven’t been able to justify the expense yet. But still, they are so fast! The Vagabond: Honestly, I’ve just been lazy about getting one set up. I have nearly perfect skills for it. The Scimitar: Okay, so I’ve flown this already. If you’ve been reading me the last couple weeks you’ll know I haven’t really flown one ‘seriously’ so I’d like to give it to go in a fleet where my primary purpose isn’t to troll the FC. I know that I’m missing a lot of great ships! What do you guys fly, and why? Maybe I’ll have to add a few to my ‘want to fly’ list. Very similar history to you, although ive gone on to amarr as well now. Which means the zealot, baddon and harbi among others. Dont forget command ships, NH, sleipnir especially. Or the Sabre, broadsword, devoter also great ships! There are plenty to chhose from but my favs are always the smaller ships, the phantasm, jag, wolf, dramiel, comets of eve so much fun! The Vagabond is a ton of fun to fly, it requires real skill. Cynabal is pretty much like a Vag as well. I'd second Rixx's comments and encourage you to try a Sleipnir--they are just sooo DPSy and still pretty fast and tanky.